Arizona’s newest pro sports team started with a win. 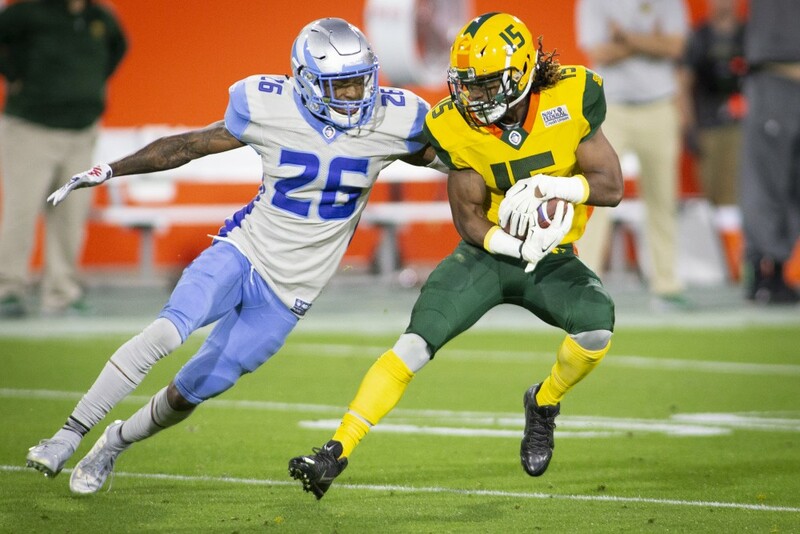 The Arizona Hotshots spring football team defeated the Salt Lake Stallions 38-22 Sunday night at Sun Devil Stadium in Tempe, closing out the opening weekend of the Alliance of American Football’s inaugural season. The eight-team league will have a 10-week season, stretching into April. It’s collected former college players and players cut by NFL teams to be a farm system for the NFL, giving players another chance to prove their worth. 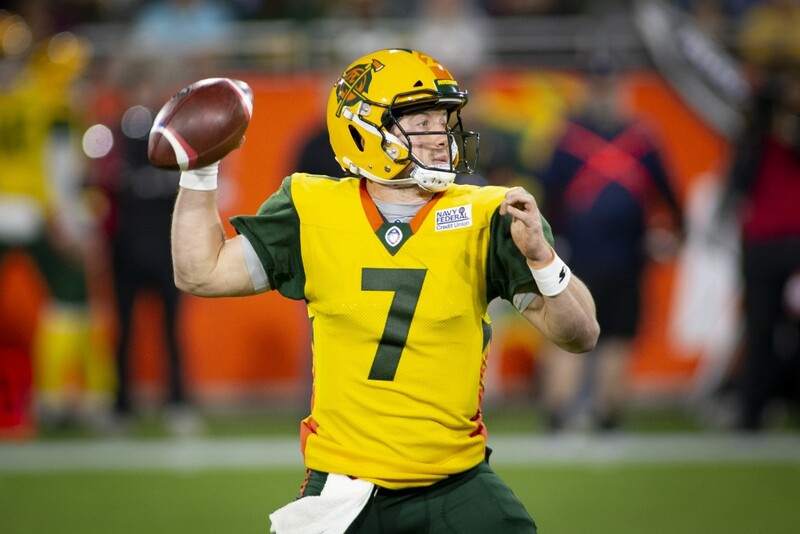 Quarterback John Wolford brought the firepower for the Hotshots, throwing for four touchdowns and 275 yards with no interceptions. His favorite target was former Sun Devil Rashad Ross, who came up big in his return to his college field with five catches for 103 yards and two touchdowns. Ross had the game’s two longest plays: a 36-yard touchdown catch and a 41-yard catch to set up Arizona’s first touchdown. The Hotshots blew the game open when they scored 16 points in 16 seconds late in the third quarter, turning a tight 19-16 lead into a comfortable 35-16 lead. Wolford completed a 4-yard touchdown pass to tight end Thomas Duarte. 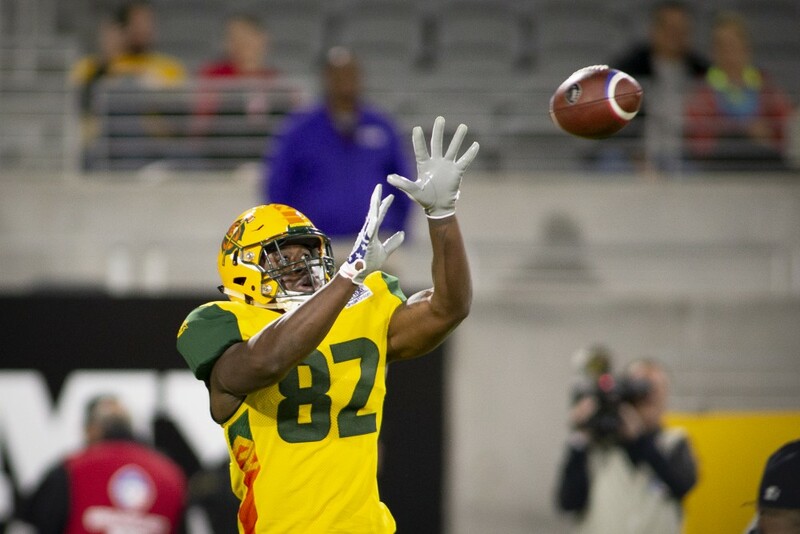 After successful two-point conversion, the Hotshots forced a turnover on the Stallions’ first play when linebacker Edmond Robinson jumped to tip a pass and fellow linebacker Steven Johnson intercepted it. On the Hotshot’s first play, Wolford connected with running back Jhurrell Pressley for a 30-yard score, followed by another successful conversion. The Alliance features several rule changes from traditional football. There are no extra points. Each team must attempt a two-point conversion after every score. There are also no kickoffs. At the start of the half or after a score, the team just scored on receives the ball at their own 25-yard line. The Hotshots converted all four two-point tries. The Stallions converted two of three. The 16-point swing, made possible by the interception, was the momentum shifter in the game. “We tried to throw it over him, and he jumped higher than any linebacker I’ve ever seen in the history of football. It was a great play by him,” Stallions quarterback Matt Linehan said of Robinson’s tip to create the turnover. Linehan, son of Dallas Cowboys offensive coordinator Scott Linehan, did not start the game for the Stallions. Starting quarterback Josh Woodrum did not return after the second half due to a hamstring injury. After the game, Salt Lake coach Dennis Erickson said he didn’t know if his starter would be ready for the Stallions’ game at Birmingham next week. It was not a triumphant return to Sun Devil Stadium for Erickson, who coached Arizona State from 2007 to 2011. 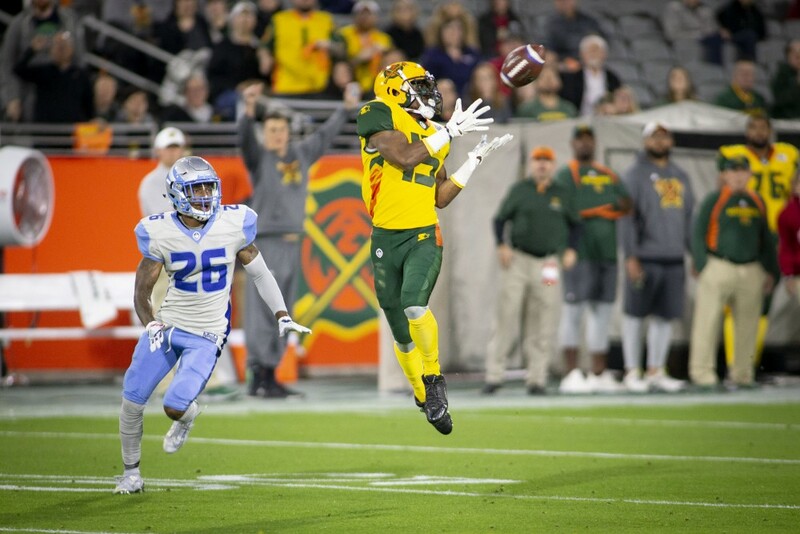 “They kicked our rear end,” Erickson said, adding that his team was not physical enough and the Hotshots were able to run the ball more easily than he’d hoped. Linehan, thrown into the game halfway through, spoke to quality of the players in the new minor league. The Stallions’ comeback effort never got off the ground. Salt Lake decided to punt on a fourth-and-17 with just over three minutes left down 16 and never got the ball back. The Hotshots were nearly forced to give the ball back twice, but back-to-back offsides gave the Hotshots one first down and a roughing the kicker on a punt gave them another. Two kneel downs ended the game. The crowd of 11,751 people, in a stadium that can seat more than 53,000, was by far the smallest of the Alliance’s opening weekend. 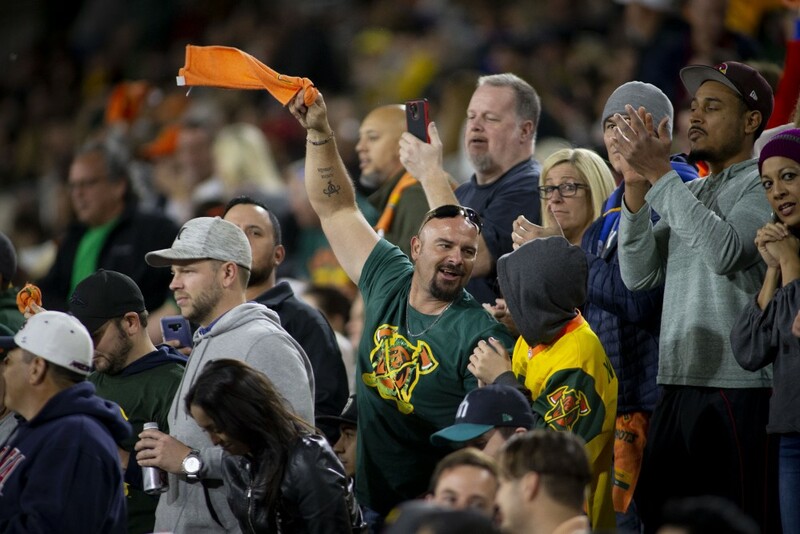 The three other Alliance games from opening weekend drew 17,000 to 27,000. 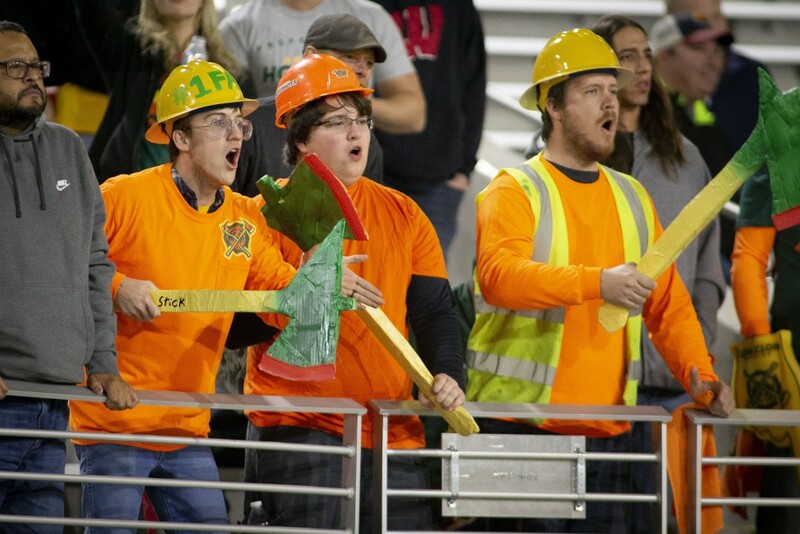 Still, Wolford said the team fed off the energy of the crowd, which was engaged and started chants at times. Neuheisel said he was appreciative of the crowd that came out, noting how quickly the league came together. He hoped the league would grow by fans telling their friends. “I think it’s a terrific league. 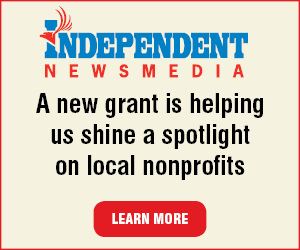 I think it’s going to catch on,” Neuheisel said. With 60 combined points, the game was the only Alliance game of four to top the over/under, which was 51.5. It was also the only game where the losing team had more than 6 points. Wolford had the most passing yard and passing touchdowns in the opening weekend and Ross was the only player with two receiving touchdowns and was four yards shy of the receiving yards leader. Pressley, who had 64 rushing yards in addition to his 30-yard touchdown catch, was second in rushing yards for the weekend, nine yards behind the leader. The Hotshots won the turnover battle 3-0 with two picks and one fumble recovery on a muffed punt, which set up their first score. Wolford was announced the starter in the week leading up to the opening game, but it wasn’t clear if former Oklahoma and Texas A&M quarterback Trevor Knight would play some series. 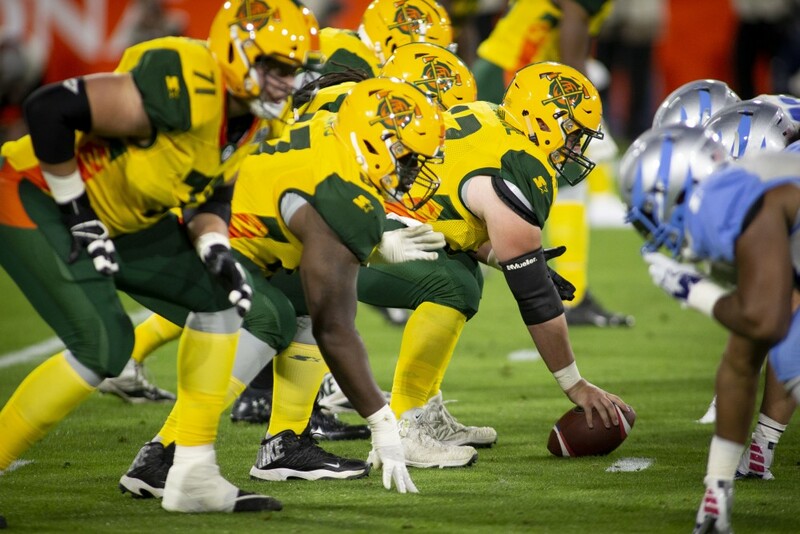 The Hotshots drafted Knight in the first round of November’s quarterback draft and Wolford in the second round, but Knight never entered the game, and Wolford after his league-best performance in Week 1, Wolford is presumably the sole signal caller going forward. 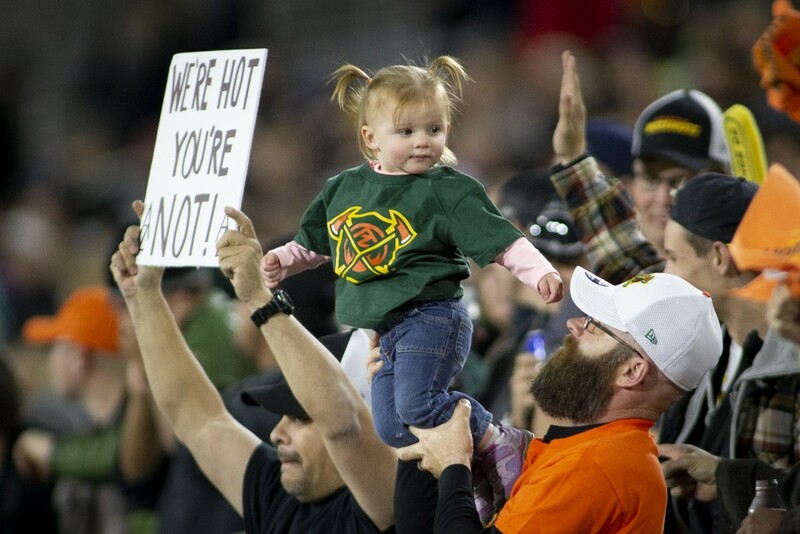 The Hotshots travel to Memphis to play the Express at 6 p.m. Arizona time Saturday. Their next home game is 6 p.m. Sunday, March 3 against the Atlanta Legends.